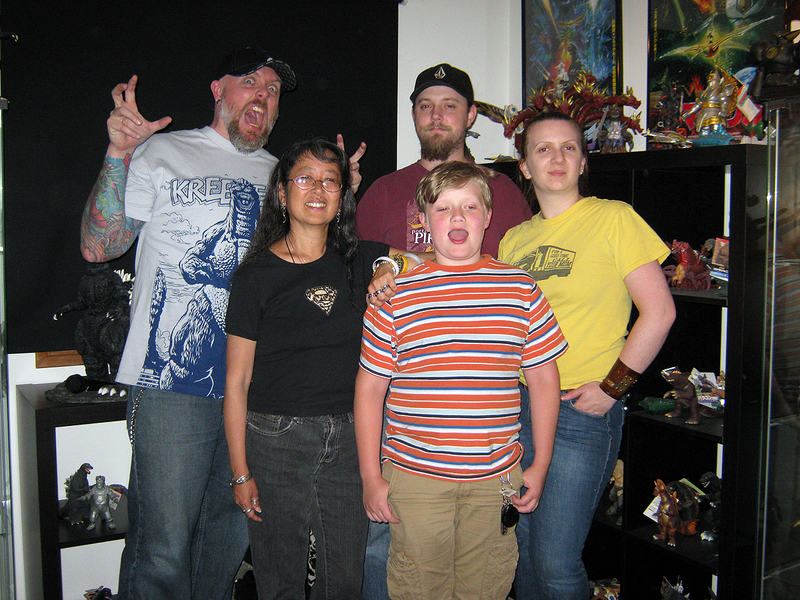 This month, I am joined by Cindy, Justin, Heather & T'Igor for this month's Daikaiju Discussion on Godzilla 2000. Break out the celebratory bottles of red soma drink because another episode is upon us, internet! This month’s Daikaiju Discussion episode (Epside 38 for those counting) takes a stern look at the 1999 Toho film and the beginning of the Millennium (or Shinsei) era of Godzilla films: GODZILLA 2000! Much like Godzilla 1985, this movie has the distinct honor of being the only film of the Millennium series to be released in theaters across the United States. 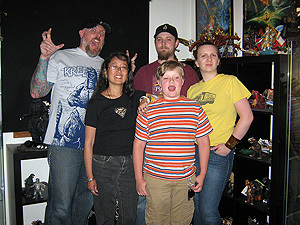 Heather, Justin, Cindy, T’Igor and I all gathered here at the Kaijucast HQ to watch it. We enjoyed watching the movie, but in general felt that it just fell a little flat. We get into all of that in the episode and as a bonus, Heather is back to help with the co-hosting duties. Make sure you check out the rest of the show notes below to fully immerse yourself in all the Kaijucast has to offer this month. Thanks to everyone who turned in their homework, it was a lot of work trimming some of the responses down to a manageable bunch of blurbs – and there were some questions from you guys this time, which was cool too! Remember that you can make music requests (as long as they are kaiju-related) and I’ll do my best to play them. Personally, I feel that the music in this show is top notch, so I hope you enjoy listening as much as I enjoyed playing it – I think it is a great slice of kaiju audio entertainment! 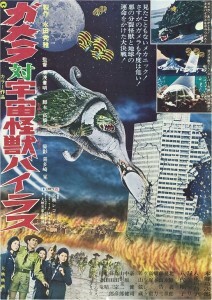 For August’s homework, I hope you are all hungry for turtle soup because we’ll be watching the 1968 Daiei flick, Gamera vs. Viras. Now we’ll be watching the Shout! Factory DVD and commenting on that. If you don’t own it, you can get it here – and if you need a better reason to pick up the DVD, it also includes Gamera vs. Gyaos. Just make sure you watch the one with the alien squid thing and not the bat-bird thing! Anyways, the standard schtick still applies: watch the film and then submit your thoughts, questions and comments via email before the last week of the month and I’ll include your reviews in the episode. I look forward to hearing your thoughts on this wild ride of a movie.